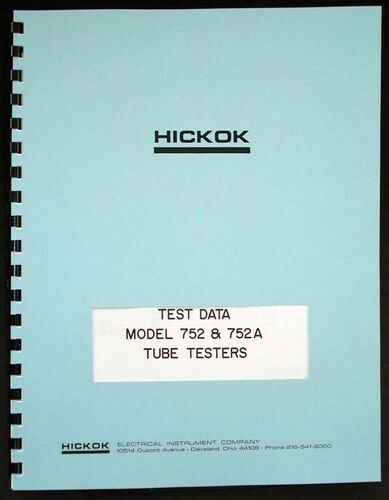 For sale is reprint of Hickok 752 752A Tube Test Data book. 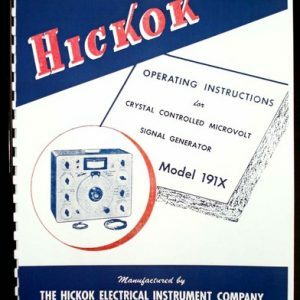 Manual is 74 pages long. Chart Number 3200-324. 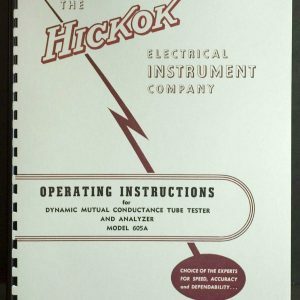 General test data section is 22 pages long, Obsolete tube types is 21 pages long, Foreign tube types section is 25 pages. 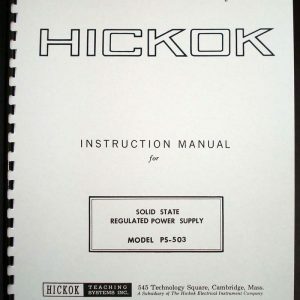 This manual contains only test data. 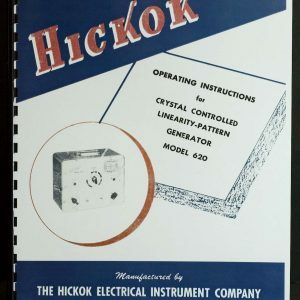 I have Operating Instructions manual in my Ebay Store. This entry was posted on July 29, 2013 by artur.